SlimLine 36-inch x 36-inch Double Threshold Shower Base in Black colour The DreamLine SlimLine shower bases showcase premium high-gloss acrylic, reinforced with fiberglass for durability and a modern, low profile design. SlipGrip textured floor surface offers slip resistance for safety. Glossy acrylic finish safeguards against stains for easy maintenance. DreamLine SlimLine shower bases are available in multiple colors and are sure to complement your bathroom style! 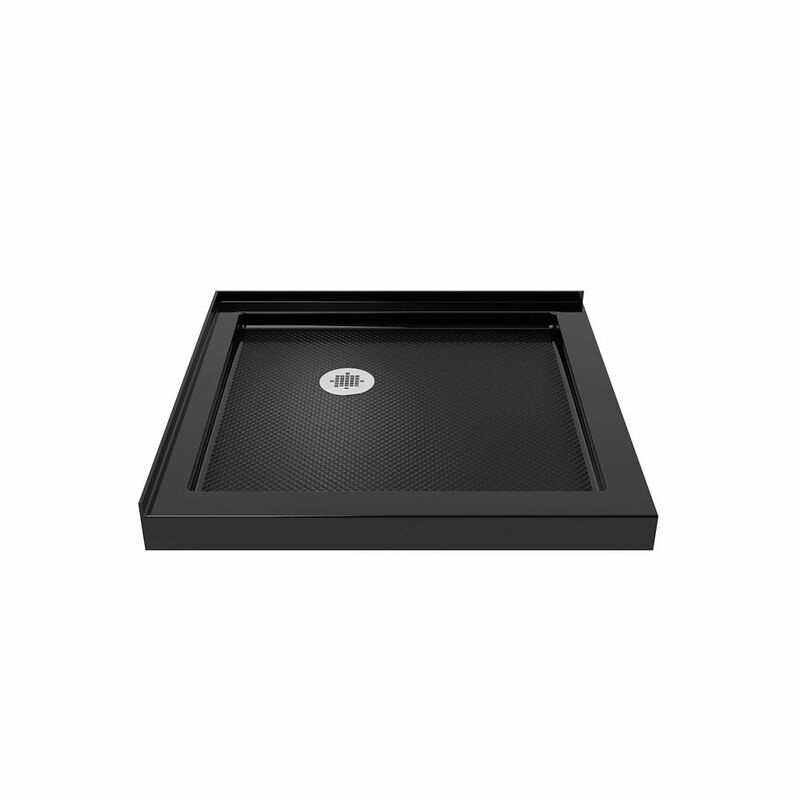 SlimLine 36-inch x 36-inch Double Threshold Shower Base in Black colour is rated 4.6 out of 5 by 7. Rated 5 out of 5 by HomeDepotCustomer from Love the black color. Finally, a better choice than... Love the black color. Finally, a better choice than white! Strongly recommend this product. Rated 5 out of 5 by RH from Looks much classier than the white base.... Looks much classier than the white base. Rated 5 out of 5 by dardeli from Solid build. Good quality product Very happy with this product. Easy to install. Good installation instructions.